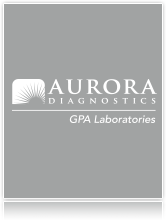 Aurora Diagnostics Greensboro Pathology Associates is currently seeking an experienced General Manager for our location in Greensboro, North Carolina. Greensboro Pathology Associates provides customized pathology laboratory services throughout the Southeast. The majority of the cases include general surgical, skin, cytology and clinical specimens. GPA is a high volume and rapid turnaround laboratory. GPA is accredited by CAP, CLIA, ACHA and NY State. The practice organization employs 160 employees and 15 pathologists. GPA has been servicing patients and global and TC/PC clients for 59 years. Also, GPA has relationships with 4 major hospital systems and outpatient facilities in NC and VA. Responsible for administering, planning, and coordinating all operations at the practice and providing close liaison with physician management while developing and implementing organization policies, practices, and operating goals to improve performance, methods, and quality of medical services. •	Bachelor’s Degree in Business, Finance, Healthcare, or Related Field. •	Three to five years of managerial experience overseeing a diverse multispecialty laboratory. •	Knowledge of workflow processes, laboratory supplies and equipment, and billing and laboratory information systems. •	Provides guidance, resources, and support to physicians, management and employees of the company. •	Develops administrative policies and procedures to improve operating efficiency and effectiveness of medical services. •	Responsible for overseeing recruitment, retention, training, orientation, discipline and evaluation of all employees. •	Assures proper maintenance of laboratory and office equipment and approves ordering supplies and services. •	Delegate’s authority, prioritizes work activities, resolves problems, prepares schedules, and sets deadlines to ensure timely completion of work. •	Controls staffing costs and growth by evaluating staffing ratios, competencies and requirements. improve the quality of services provided and financial profitability. •	Develops operational plans and budgets, guides fiscal management of departments, and ensures that periodic and year-end goals are attained. •	Directs Billing, IT, Sales and other functional areas to resolve issues promptly. •	Ensures that all environmental issues, including biomedical and facility support, are addressed timely and appropriately. •	Coordinates facility changes needed to add new tests or expand operations. •	Monthly meetings with physician management. Aurora Diagnostics offers a competitive compensation package and outstanding benefits. If you are interested in joining our team, please submit your resume along with your salary history and requirements to hrrecruiter@auroradx.com.